Free Admission be early for this one ! On the day General Manager Ian, Lyndsey, Megan and the rest of MERE COURT HOTELS professional events team will be on hand to show all prospective brides and grooms around this quality venue, and answer any questions that you may have re your own very special day. Set in 7 acres of landscaped gardens and grounds with a private lake in the most desirable part of the Cheshire countryside it offers ambience and rural tranquility, despite being only 8 minutes from Manchester Airport and within easy reach of the major motorway networks (M56/M6/M62) giving access to Manchester, Liverpool and the historic City of Chester. 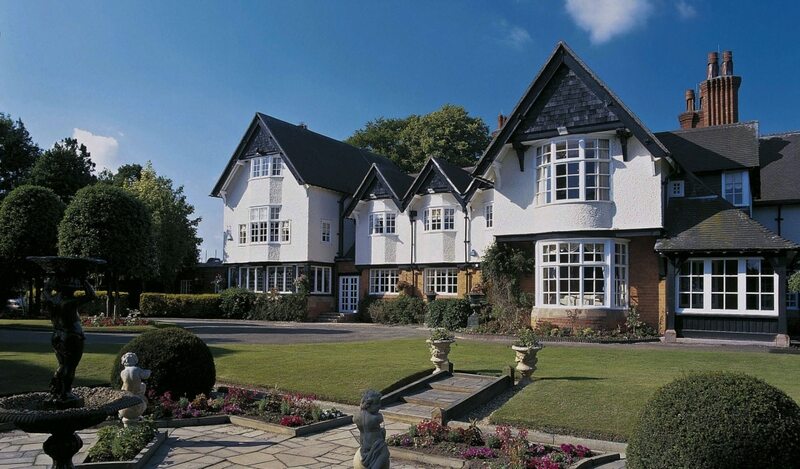 with an AA Rosette Restaurant and voted Number 1 hotel in Knutsford on Trip Advisor. The original house has individually designed and furnished luxury Bedrooms, including two four poster suites, all with wonderful views across the beautiful grounds and the Lakeside rooms all have king size beds. Sky Sports Channels are available in all bedrooms and lounge areas and there is free Wi-Fi access throughout the hotel. This hotel has played host to a number of notable and famous guests like former US President Bill Clinton, Ruby Wax, Dawn French, Alan Titchmarsh and Spandau Ballet and also featured in Cold Feet!